Anyone (like Barack Obama) entertaining ideas of western democracies establishing friendly relations with the radicals of the Islamic world should watch this video.While watching the inflammatory rhetoric of the speaker, remember that this is not a Jihadists from Iran but a professor. Posted by Bill Smith : Post Link --> 10:17 PM 0 Comments - Share Yours! ARRA News Service - Senator Charles Schumer (D-NY), who chairs the Senate Judiciary Subcommittee on Immigration, Border Security and Refugees, will hold a hearing tomorrow, April 30, at 2:00 p.m. entitled, "Comprehensive Immigration Reform in 2009, Can We Do It and How?" Senator Schumer has packed the witness panel with individuals hopelessly biased in support of amnesty. While there is one witness, Kris Kobach, who is a friend of true immigration reformers, the remaining witnesses represent "a who's who" of the open borders lobby and big business interests who want to import cheap labor. Your calls today and Thursday are especially important because La Raza has organized a grassroots lobbying effort to coincide with the Senate Subcommittee hearing this week. This nationwide effort will include phone calls, and, according to our best information, will culminate with marches on May 1st to demand amnesty. Call your Senators and Representative today, you can make sure Congress hears from the American people and not just special interests. In 2007, true immigration reformers defeated "comprehensive" amnesty with a firestorm of calls to Congress. The Senate needs to hear from you that the American people still oppose amnesty. Contact your senators! Contact your representatives! Tell them you oppose any effort to pass any "comprehensive" amnesty bill. Posted by Bill Smith : Post Link --> 10:30 PM 0 Comments - Share Yours! 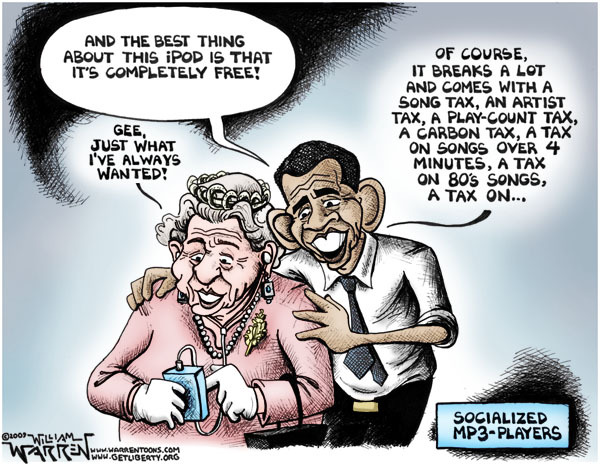 Tags: Arlen Specter, ARRA News, Barack Obama, Bill Smith, Judas, political cartoon, RINO To share or post to your site, click on "Post Link". Please mention / link to America's Best Choice. Thanks! Posted by Bill Smith : Post Link --> 6:35 PM 0 Comments - Share Yours! By Bill Smith / Ozark Guru: Nancy Pelosi knows what torture is because she has been practicing it for years. You might be saying, wait a minute, isn't she the the "Speaker" against torture at least with respect to what allegedly was used against the enemy combatants who brutally attacked and killed Americans and sought to destroy our American way of life. Don't be distracted by her pathological ability to adjust the truth to something that it is not or to shield the truth from shinning forth. For this discussion, let's forget the extreme view that would tear down the fabric of America while claiming self-righteous indignation in seeking the truth about a physical torture of people that had planned, aided or assisted in either potential attacks or the 9-11 attack our country which and killed almost 3000 people. Have we forgotten the deaths would have been far more if the planes had hit the World Trade towers an hour later, or if the planes had hit the center of the Pentagon or had hit another locations in D.C.? Also, let's forget the extreme fringe that believes that their own government is behind everything bad in our country and blew up the World Trade Towers instead of terrorists flying the airplanes that many of us observed hitting the buildings. Let's focus on Nancy Pelosi. First, note her recent episode of pathological adjustment of truth, wherein she attempts to divert attention from herself by boldly claiming she knew nothing about the use of enhanced interrogation techniques and then buffets her claim by stating that she could not recall being told that the the enhanced interrogation techniques were or would be used. Well, most of us know this is not the truth. House Speaker Nancy Pelosi appears to be on the defensive over what exactly she knew — and when she knew it — about the Bush administration’s "enhanced interrogation" techniques. The California Democrat befuddled some reporters, Republicans and others last week when she gave what Politico says were some "convoluted answers" to reporters about the interrogations. Now Republicans have jumped at the chance to pummel Pelosi’s insistence that she didn’t know what was going on. CIA Chief Porter Goss said she must be suffering from "amnesia" — since he was with her in 2002 when they were briefed by the CIA on the techniques. Goss wrote over the weekend: "I am slack-jawed to read that members claim to have not understood that the techniques on which they were briefed were to actually be employed; or that specific techniques such as ‘waterboarding’ were never mentioned. It must be hard for most Americans of common sense to imagine how a member of Congress can forget being told about the interrogations of Sept. 11 mastermind Khalid Sheik Mohammed. In that case, though, perhaps it is not amnesia but political expedience." . . .
Now back to Nancy Pelosi and her use of torture. Note the definition of the word "torture" included "anguish of body or mind: agony" and "distortion or over refinement of a meaning or an argument: straining." While Pelosi may not as yet be pulling out fingernails in the basement of Congress, she has become a master in the use of these other two definitions of the word torture. Her extreme actions, her ridiculous self-proclamations, her bullying of the members of her own party, her tyrannical exclusion of the elected members of the minority party, and her constant declarations of lies as truth and distortion of truth. All of these bring anguish to the mind and hearts of Americans and definitely distorts and "over refines" the meaning of any argument. Pelosi has been wielding the whip of torture via her tongue and via the authority of her position as Speaker of the House. A gracious women she is NOT. She is not even a voice of propaganda for the liberal cause because even liberals know she cannot be trusted. In deeds, words, and actions, Nancy Pelosi is the Queen of Torture. While it may not matter what Republicans think of Pelosi, it does matter that American voters do not trust her. One month ago, Rasmussen Reports that "60% of U.S. voters now have an unfavorable opinion of House Speaker Nancy Pelosi, including 42% Very Unfavorable and that a growing number of her doubters seem to be fellow Democrats." Abuse and torture yield these kind of results from free-thinking people. And these results are presently polar opposite of the ratings for President Obama. There is a growing dissent with Pelosi not only among Democrats in general but more importantly among House Democrats who have been forced to endure Pelosi's torturous ways. Bowing and scrapping by once joyous party members to the Queen Speaker does not bode well for future favorable support of the Obama administration. She has outworn her welcome as Speaker of the House by her lack of graciousness and her torturous ways. For the good of the country, it is time for a favorably nod to a more "enlightened" and sanguine" person to be the Speaker. 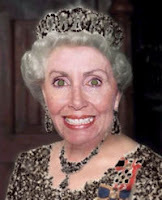 It is time for Nancy Pelosi, the Queen of Torture, to be removed as Speaker of the people's House. Posted by Bill Smith : Post Link --> 11:15 PM 0 Comments - Share Yours! Bill Smith, Editor, ARRA News Service: While various states fight it out as liberals introduce state versions of the Dream Act, "The Development, Relief, and Education for Alien Minors," or DREAM, Act was introduced on March 26, 2009, as S. 729 by Senators Durbin (D-IL.) and Lugar (R-IN) and as H.R. 1751 by Rep. Berman (D-CA). In Arkansas, people rallied against SB799, in-state tuition for illegal aliens and the bill was significantly defeated in Senate committee and then through a maneuver the vote was expunged. However, this week with the clocking running out on a vote in the Arkansas Senate, the bill was pulled by the author and placed before the Interim Committee on Education for further study. It may well be back in the next Arkansas legislative session. It is important to focus on the new Dream Act proposal in Congress which would grant amnesty to illegals up to age 35. Please read the following review by Roy Beck of an comprehensive study by Rosemary Jenks and her staff on the proposed federal legislation. The DREAM Act offers immediate provisional amnesty to virtually every illegal alien up to the age of 35. All a person has to do is file an application that CLAIMS to meet the criteria. That gives the illegal aliens an immediate provisional amnesty. 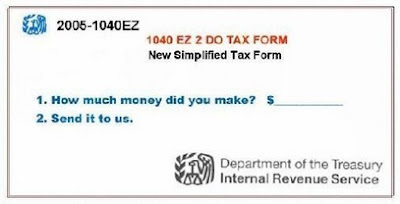 Although the feds may eventually require some papers to back up the CLAIMS, you can be sure that the fraudulent document industry is already preparing the counterfeit plates to turn out these false documents at a good profit (they have done so for every other amnesty). The likelihood of any illegal alien losing the amnesty because of fraud is unlikely because DREAM is written so that nobody can lose the amnesty unless the feds do the expensive investigation to PROVE that the illegal alien isn't qualified. Rosemary also shows that the DREAM Act opens the way for a pathway to citizenship for most of the illegal aliens who are OVER the age of 35 if they are related to illegal aliens under 35. Unless an amnesty eliminates Chain Migration categories, it will always open the way for millions upon millions more relatives, including those who are illegally already in this country. include requirements that applicants PROVE they meet narrowly drawn criteria. The DREAM Act does none of those. If you call a congressional office or talk directly to a Senator (even one of our allies), there is a good chance that they won't know what Rosemary told you in those bullet points above.It is up to all of you to be an army of truth to get the word out because the open-borders people have spent millions of dollars to market the lie. *A Dose of Reality Turns DREAMs into Nightmares is a line-by-line analysis of the DREAM Act (as introduced in the U.S. Senate) reveals no end to the nightmares. (1) The amnesty applies to illegal-alien "kids" up to age 35; (2) aliens merely need to make a "claim" that they are qualified for the amnesty -- they don't have to provide any proof that the claims are true; (3) but the feds have to perform costly, time-consuming investigations to prove the claims are false in order to deny an amnesty to anybody; (4) the parents who broke the law to bring these "kids" here can get U.S. citizenship; (5) DREAM would remove the federal ban on in-state tuition for future illegal aliens. Posted by Bill Smith : Post Link --> 12:36 PM 0 Comments - Share Yours! by Rasmussen Reports: A new survey finds that 64% of voters see taxation as very important; it’s highest level in nearly two years. Last month, 61% said taxes were very important to them. Prior to that survey, that number never rose above 60%. Another 26% now see taxes as a somewhat important issue, while only 8% say taxes are not very or not at all important in terms of how they will vote. Posted by Bill Smith : Post Link --> 9:00 AM 0 Comments - Share Yours! There's a reason he refuses to accept repayment of TARP money. by Stuart Varney, Opinion Journal: I must be naive. I really thought the administration would welcome the return of bank bailout money. Some $340 million in TARP cash flowed back this week from four small banks in Louisiana, New York, Indiana and California. This isn't much when we routinely talk in trillions, but clearly that money has not been wasted or otherwise sunk down Wall Street's black hole. So why no cheering as the cash comes back? My answer: The government wants to control the banks, just as it now controls GM and Chrysler, and will surely control the health industry in the not-too-distant future. Keeping them TARP-stuffed is the key to control. And for this intensely political president, mere influence is not enough. The White House wants to tell 'em what to do. Control. Direct. Command. It is not for nothing that rage has been turned on those wicked financiers. The banks are at the core of the administration's thrust: By managing the money, government can steer the whole economy even more firmly down the left fork in the road. 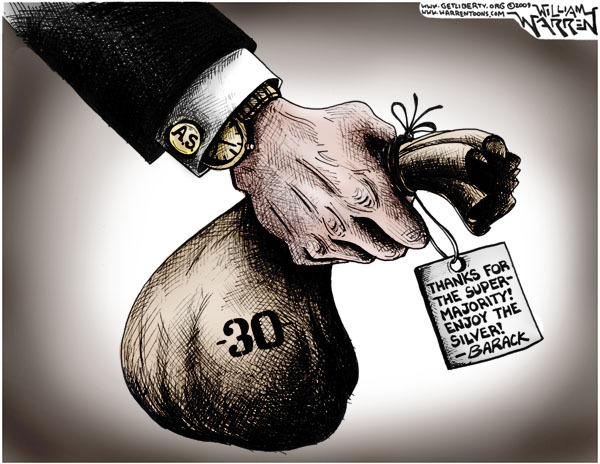 If the banks are forced to keep TARP cash -- which was often forced on them in the first place -- the Obama team can work its will on the financial system to unprecedented degree. That's what's happening right now. Here's a true story first reported by my Fox News colleague Andrew Napolitano (with the names and some details obscured to prevent retaliation). Under the Bush team a prominent and profitable bank, under threat of a damaging public audit, was forced to accept less than $1 billion of TARP money. The government insisted on buying a new class of preferred stock which gave it a tiny, minority position. The money flowed to the bank. Arguably, back then, the Bush administration was acting for purely economic reasons. It wanted to recapitalize the banks to halt a financial panic. Fast forward to today, and that same bank is begging to give the money back. The chairman offers to write a check, now, with interest. He's been sitting on the cash for months and has felt the dead hand of government threatening to run his business and dictate pay scales. He sees the writing on the wall and he wants out. But the Obama team says no, since unlike the smaller banks that gave their TARP money back, this bank is far more prominent. The bank has also been threatened with "adverse" consequences if its chairman persists. That's politics talking, not economics. Think about it: If Rick Wagoner can be fired and compact cars can be mandated, why can't a bank with a vault full of TARP money be told where to lend? And since politics drives this administration, why can't special loans and terms be offered to favored constituents, favored industries, or even favored regions? Our prosperity has never been based on the political allocation of credit -- until now. Which brings me to the Pay for Performance Act, just passed by the House. This is an outstanding example of class warfare. I'm an Englishman. We invented class warfare, and I know it when I see it. This legislation allows the administration to dictate pay for anyone working in any company that takes a dime of TARP money. This is a whip with which to thrash the unpopular bankers, a tool to advance the Obama administration's goal of controlling the financial system. After 35 years in America, I never thought I would see this. I still can't quite believe we will sit by as this crisis is used to hand control of our economy over to government. But here we are, on the brink. Clearly, I have been naive. 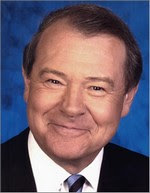 Stuart Varney is a host on the Fox Business Network. Posted by Bill Smith : Post Link --> 10:00 PM 0 Comments - Share Yours! Obama Conflicted Over Islam? What's the truth? Bill Smith, Editor, ARRA News Service: Below are two presentations which help explain the difficult position in which President Obama and others have placed the United States and the European countries. One presentation is today's comments by Gary Bauer, Director of Americans for Working Families, and the other is an article by Martel Sobieskey who has 36 years research experience in the field of religious conditioning and its relationship to warfare. Obama claims that Islam is a religion just like any other religion. This is a false premise that true believers in both Islam or Christianity know to be untrue. This false premise is leading to the growth and expansion of the religion of Islam and Muslims in Europe, the United States, and eventually remaining North America. 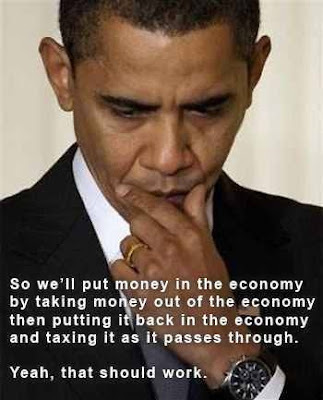 In considering Obama's recent comments and actions, one has to wonders if he has a conflicted psychic. He was born Barack Hussein Obama and in his early childhood raised in a Muslim country to follow Islam and thus to be a Muslim. Then in his later elementary years, after being transferred to his white grandparents in the U.S., he is reintegrated into the American culture with his white grandparents and eventually cast off his former identity, as explained in his own biography. Eventually he does the unthinkable in the Muslim world. He rejected Islam and adopted the Christian religion. Posted by Bill Smith : Post Link --> 8:56 PM 0 Comments - Share Yours! by William Warren: Some Terms and Conditions May Apply. - Britain's Queen Elizabeth II has awarded a knighthood to the designer of Apple Computer's iPod. Posted by Bill Smith : Post Link --> 4:45 PM 0 Comments - Share Yours! Posted by Bill Smith : Post Link --> 10:15 PM 0 Comments - Share Yours! by Dave Cribbin: It took Ford's CEO Alan Mulally two trips to Washington to figure out that the bailout money the government was dangling in front of him was really a pact with the Devil, fraught with peril. But figure it out he did, and so he and Ford survive to live another day. GM and Chrysler, however, weren't as lucky. They couldn't or wouldn't see the handwriting on the wall, and thus, they have been “weighed in the balance and found wanting,” and sealed their own fate. Chrysler's CEO Robert Nardelli is now forced to negotiate a do-or-die deal with Fiat, as his partner, the Beelzebub of the Potomac, holds a gun to his head and whispers in his ear "cut a deal in 30 days or you my friend are toast". Rick Wagoner, GM's CEO, has been shown the door, and GM has been given 60 days of operating capital to conclude its restructuring. All we can say is good luck... you are going to need it! Is it possible that GM will be able to do in 60 days what it hasn't been able to do in the last 20 years? No! It can't. And it won't. If GM wants to survive as a company and not as the host organism for the parasitic UAW, it should make the long overdo announcement that it will be seeking bankruptcy protection under Chapter 11 in order to reorganize its business. If it doesn't, it may exist for a brief period of time as a scaled down post office type operation, making tiny eco- friendly cars that won't take you very far, while providing jobs with above market compensation and benefits for a small number of politically connected autoworkers. But its days will be numbered, and when the operating losses become too great -- and they will -- for the UAW's Democratic allies to continue to provide the necessary political cover, they too will cease descend to perdition. How is it that GM got things so wrong? They seemed to be under the false impression that because the Democratic Party was beholden to the UAW's campaign contributions afforded by its forced dues paying members, that somehow it was safe to sleep with the enemy. I hope they know now what they should have known then: it is never safe to sleep with your enemy! They failed to realize that they were never going to get a fair shake in the political arena. Without the protection of the bankruptcy laws and the threat of a court imposed settlement, the company will continue to be stuck between a rock and a hard place in its negotiations with a recalcitrant union that won't budge and bondholders who don't want to be sacrificed to placate the UAW. There is a lesson here in dealing with a government that disdains the rule of law and thirsts for ever more power. 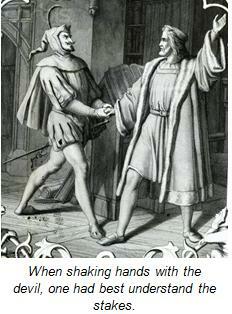 And it is a simple one: When you shake hands with the devil, you better count your fingers! Dave Cribbin is a Contributing Writer for ALG News Bureau. The budget passed the Senate tonight by a vote of 55-43. No Republican voted for it, while two Democrats, Sens. Evan Bayh, and Ben Nelson, voted against it. Earlier today in the House, the budget passed by a vote of 233-196. No Republican voted for the budget, while 20 Democrats voted no. At least this time there is no "blood on the hands of Republicans" and some Democrats even saw the pending damage to our country. Our only hope now is to return sanity to the Congress by 2010. The people need to continue to speak out and to get involved both in the TEA (Taxed Enough Already) Parties and involved in activism supporting the building of a coalition to elect strong conservative to replace the liberal Democrat who are advancing sending our country into a deficit so big that its exceeds the sum total of adding the individual debt for each of the last 220 years of our county. “Over bipartisan opposition, Democrats in Congress passed a budget that clears the way for massive amounts of spending, for the biggest tax hike in history and a doubling of our already crippling national debt. It is a budget that puts the economy on an unsustainable course. Labels: Democrats, federal budget, Republicans, US Congress, US House, US Senate, Washington D.C.